Gradient Living Coral color of the Year 2019. Sky with fluffy clouds. Retro toned abstract background, minimal. 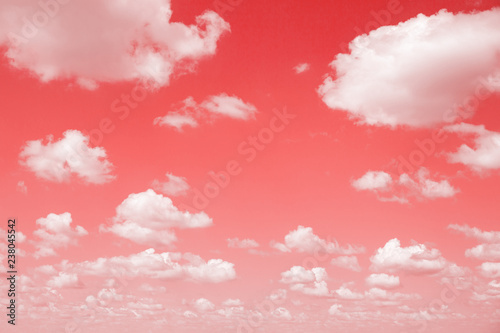 Photo wallpaper - Gradient Living Coral color of the Year 2019. Sky with fluffy clouds. Retro toned abstract background, minimal.